Bangladesh, like many other developing countries faces an acute shortage of affordable housing both in the urban and rural areas. Owing to the migration of a large population to the capital city Dhaka every year, demand for proper housing has increased in astronomic proportions. Production of suitable housing units has therefore become a major concern for the National Housing Authority as well as the Private sector Housing developers. 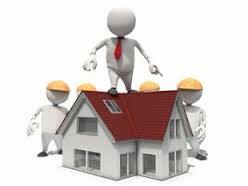 Real Estate Development in private sector in this country started in pre-liberation days when Eastern Housing Ltd. In the mid-60 undertook land development project known as “Pallabi Project” for housing purpose in the Mirpur area of the Dhaka city. The concept of apartment Development started in the later part of the 70 decade when Free School Property Development Ltd. started development of ownership apartment in the Siddeswori and Moghbazar areas of the Dhaka city followed by Eastern Housing Ltd. During the decade of 80 a number of companies came into existence and engaged in ownership apartment development. With the number of companies increasing gradually and various problems concerning the housing sector having cropped up requiring early solution, necessity was strongly felt for the formation of a trade association of the Real Estate developers to protect the overall interests of the sector. Keeping the above objective in view some of the stalwarts in the Real Estate business met together in a meeting and formed an Association under the nomenclature of Real Estate and Housing Association of Bangladesh or briefly REHAB. In November 1992 REHAB was enlisted as an “A” class member of the Federation of the Chambers of Commerce and Industries (FBCCI).REHAB has always acted to further the Government policy and to do this effectively REHAB must be given due recognition and made a party in all processing of housing sector policy formulation. Over the last 15 years the Real Estate Development sector has made significant contributions to many sectors of our economy. Since 1985 this sector has created homes for over 12000 families in the metropolitan city. Additionally, thousands of acres of land have been developed into housing estates where lower middle and middle income families can construct their own dwellings. In Real Estate Development sector there are several types of organization in development of several projects like, some of the developers engaged in development of land project, some engaged with apartment development project and commercial complex or spaces development project. Land Developer: There are several organizations that are only engaged with the land development project. Exactly they developed the plot and sold out those projects to the customers or clients. Apartment Developer: There are several developers that are only developed apartment and sold out those projects to the clients. Shopping Spaces/complex Developer: There are several developers that are engaged to development of shopping complexes or spaces. Besides these types of projects developer there are also some developers that are engaged to development of all the above projects like Bashundhara Group, they related with the development of the all the above projects. In Real Estate Development Sector the land are also differentiated based on some criterion or nature like, there are two types of property exists in the market one is lease hold property whose actual owner is Government and another is private hold property whose actual owner are individuals. It is a recognized fact that the health of the Real Estate Development sector is the barometer of the national economy. Housing is indeed one of the most important priorities of any government. It is very unfortunate that today the Real Estate Development sector of Bangladesh is in the doldrums. Many construction projects are left incomplete; many people who have invested their money face uncertain future; and many related industries will face the brunt of this depression in the immediate future. There are more than 378 developer houses operating their business in this sector. REHAB is the only trade organization of Real Estate Developers with a current membership of 161 Developers. In the recent years REHAB has played a very significant role in nation building through Real Estate Development by its members. The members of REHAB contribute a large amount of revenue to the Government exchequer in terms of Registration Cost, Income Tax and Utility Service Charges. The contribution of Real Estate Sector in the GDP of the country is about 12-14% and it has also contributed to the growth of a host of backward and forward linkage sectors such as paints, ceramics, aluminum, furniture, cement, consultancy etc. But there is inadequate technological support both in this sector and its linkage sectors. Rehab Organizes its most colorful annual event REHAB Fair each year in Bangladesh for the member developers, financial institutions and building material providers. To foster the growth of Real Estate Sector REHAB also organizes Housing Fair (s) abroad for the Bangladeshi Citizen and the Foreign Investors. REHABS organize REHAB Housing Fair in USA and UK.